All three have been living at the Cathedral of the Incarnation, said Father Menezes, who worked in the food service industry before becoming a priest. 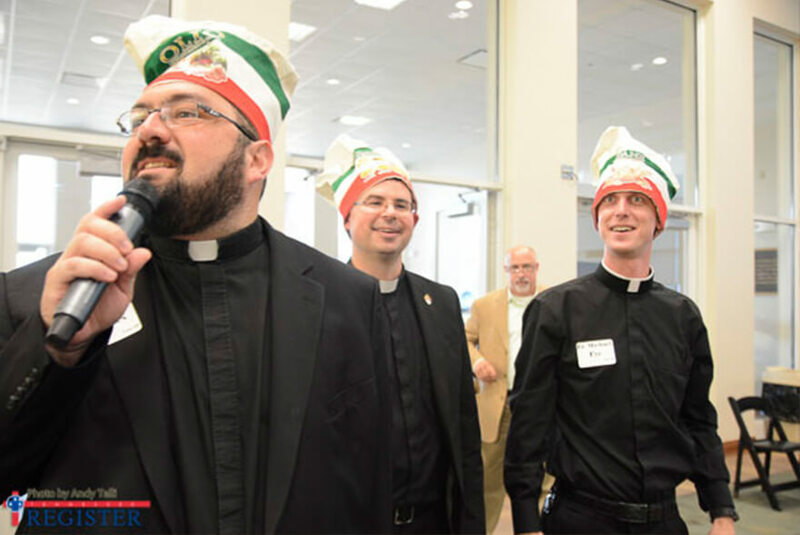 Besides his love of cooking, Father Menezes is happy to put his culinary skills to use in support of educating the diocese’s seminarians to show his appreciation for all the support he received as a seminarian from the members of the Serra Clubs of Williamson County and Nashville, who are co-sponsoring the dinner with the Tennessee Knights of Columbus. The Seminarian Education Dinner and Auction, which will be held 6-9 p.m. Tuesday, May 22, at Our Lady of the Lake Church in Hendersonville, raises money to help pay for the education of the diocese’s 23 seminarians so that the Catholic community of Middle Tennessee will continue to have priests to serve their spiritual needs in the future. The total cost of educating seminarians is more than $1 million a year. The goal for this year’s dinner and auction is $325,000. Father Menezes serves as the chaplain at Father Ryan High School, where he tries to give students a glimpse of life as a priest. Another of Father Menezes’ loves is cooking. He grew up in Brazil helping with his family’s catering business, and before becoming a priest managed three sushi restaurants. The dinner he’ll prepare for the auction will feature Brazilian favorites. It will be a multi-course meal with a variety of appetizers, bean soup, salads, rice and a lot of meat, Father Menezes said.